Preco has partnered up with Godfrey & Wing, the World Wide Leader in Impregnation Technology, to expand its vacuum impregnation services to California's aviation and aerospace industries, and to other leading commercial manufacturers. 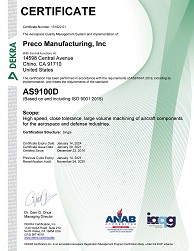 In an effort to overcome quality and delivery issues, Preco acquired one of the most robust and technologically advanced impregnation systems available. Proven through 12 years of field application and over 20 million sealed automotive powertrains, the CFi DVP process used at Preco has changed the way OEMs view vacuum impregnation. It is the most proven and effective impregnation technology in the World today, with an impressive recovery rate of 99.6% or better. 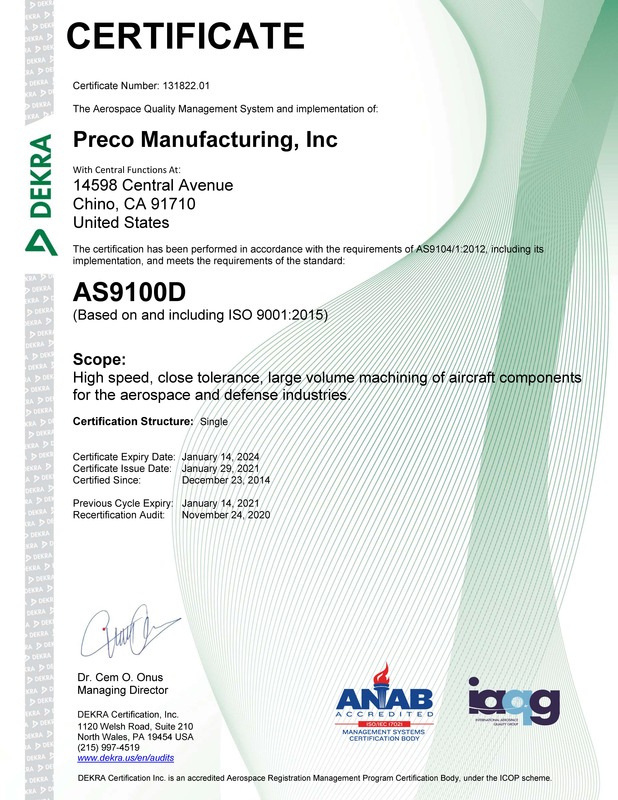 With Preco's true commitment to its growth and quality assurance to customers throughout, we've reinvested in new equipment to expanded our capabilities with the latest technologies in impregnation. We continue to dedicate all of our resources and talents to improve the services we provide through our new Impregnation Division.